For all your denture needs, whether it’s new dentures, partial dentures, relines or repairs, call Peninsula Dental Care on (03) 5981 2255 to book a FREE initial consultation. We have a highly committed team of dental technicians and a dental prosthetist who offer a wide range of products such as; lower and upper dentures, partial acrylic, partial metal, partial flexible, cosmetic and immediate dentures. We are also experts when it comes to repairs, relines, custom mouth guards and implants. Our aim is to provide top quality denture care at an affordable price. 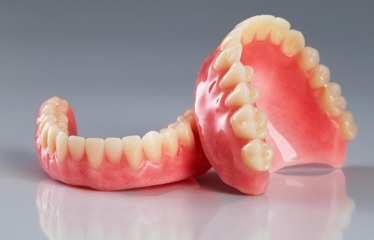 All our dentures are made in our onsite dental laboratory with the latest high tech equipment by a dental prosthetist who has many years experience. Contact Peninsula Dental Care so one of our caring and welcoming staff can discuss the available options and guide you in selecting the best denture solution for you. Looking for a dental clinic on the Mornington Peninsula that can determine whether you’re in need of some Dentures? Contact us today on 03 5981 2255 or book online peninsuladentalcare.com.au for a consult so that we can assess your suitability.